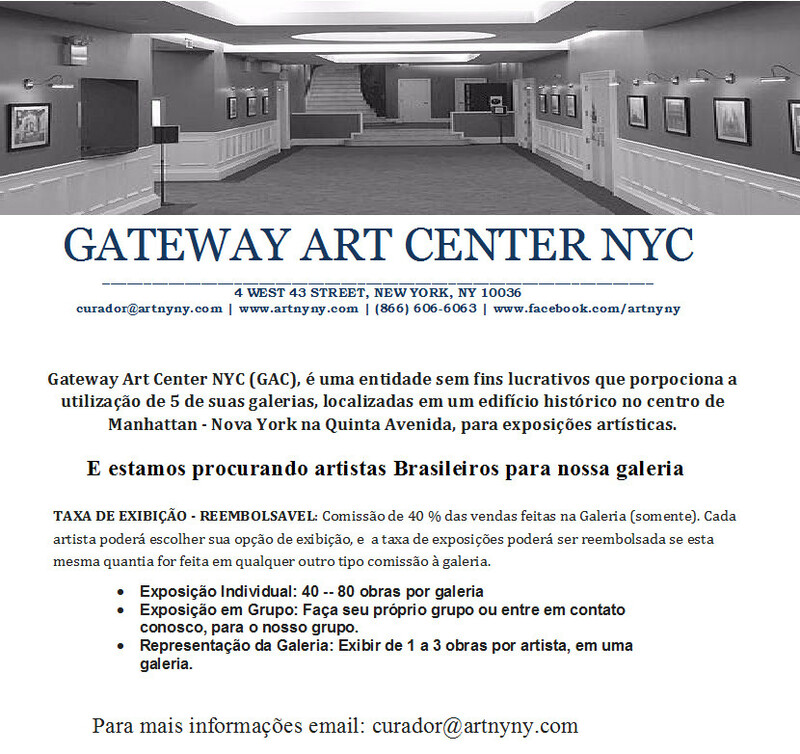 Gateway Art Center NYC (GAC), is a non-profit entity that provides the use of 5 your galleries, located in a historic building in downtown Manhattan – New York on Fifth Avenue, for artistic exhibitions. Display rate – Refundable: Commission of 40% sales made in the Gallery (only). Each artist will be able to choose your display option, and the exhibition fee may be refunded if the amount is made on any other Commission to the Gallery. Group exhibition: Make your own group or contact us, for our group. Gallery representation: Display of 1 to 3 works by artist, in a gallery. Gateway Art Center New York City – Disclosure.